This month our developers have been hard at work building in improvements to our service, and performing maintenance to help keep StoreFeeder running as smoothly and efficiently as possible. This include refinements in our code and processes in preparation for the next feature releases in the new year. Keep an eye on the blog and user messages for further updates as they come. Here are the feature and service improvements due for release Wednesday 15th November. We have added a new section to the Email templates page allowing you to create fully customisable email invoices as an alternative to paper itext invoices. There is now a section for ‘Loop Tokens’. Each of these represents a different field on the order line. Combine these with text to create your personalised email invoices. By popular demand, we will be releasing some of the new reporting first demoed to customers who attended our StoreFeeder sessions event in October. You find this report in ‘Reports’>’Products’, and it will provide statistics on average despatch times, average orders per despatch, and average order totals per team, or per individual packer. The Packer Productivity report will be available for all customers who already have Picker Productivity reports enabled. We have had great success with our Print Assist feature, which allows for instant and automatic document printing in StoreFeeder. This is an account specific feature, so please contact our support teams if you wish to discuss adding Print Assist to your account. For more information, see our knowledgebases on how to install and set up the client, and how to enable and use Print Assist. There is now a toggle to choose whether to print special delivery instructions your Royal Mail labels. This setting can be found on any of your Royal Mail ‘Edit/View Integration’ pages. 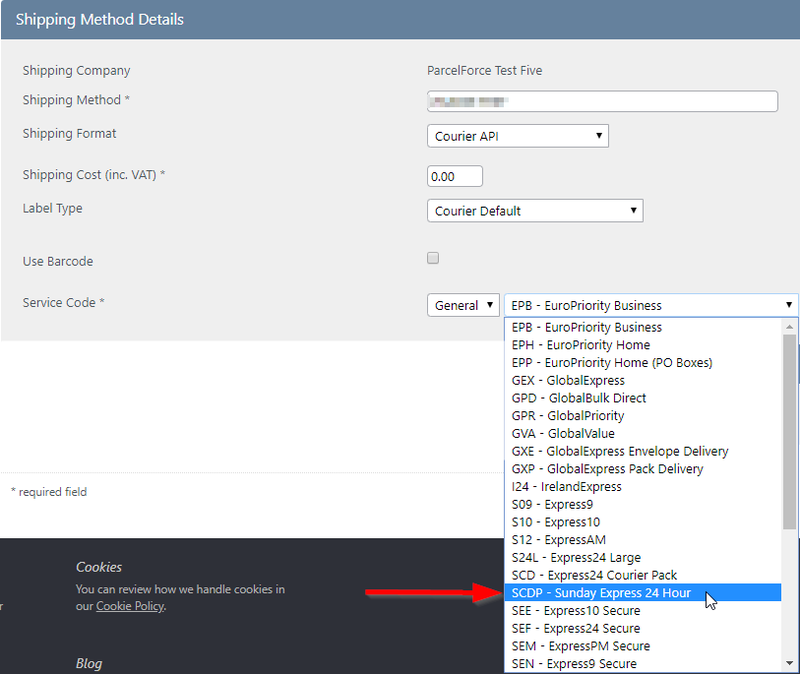 In the Courier API Settings section, type ‘true’ in the Show Special Instructions field if you wish for your special instructions to be printed on the label, or type ‘false’ or leave the field blank if you do not. We have added an additional ‘Hazardous goods information’ section to the ‘Product additional information‘ tab, for when a product requires special care or attention. Included is a checkbox to mark your product as hazardous, and fields to enter additional codes and information. If you have any comments or suggestions on how we can continue to improve your StoreFeeder service, please do let us know. Your feedback is highly valued, and informs the development of new features and improvements. From all of us here at StoreFeeder, happy retailing. This month, we have focused on adding greater degrees of customisation and flexibility to your StoreFeeder service. Here are the improvements featured in our next update, scheduled for Wednesday 20th September. We have added two new options to improve the handling of archived products. Firstly, should you wish for your product exports to display only your non-archived products, we have added the options to exclude any archived products from order exports. Product Overview and Product Import Export pages. Secondly, should you wish to display both archived and non-archived products on the Manage Products grid, we have added the option to select ‘All’ when filtering for archived products. We have added an option to display your product SKUs on labels created for DX. To do so, a field has been added to ‘DX Integration Details’ pages. Please note that there is a 60 character limit. Any SKUs longer than this will be truncated with an ellipsis. We have improved the way tax rates are calculated when raising Purchase Orders. In the ‘Products added section,’ we have added an adjustable tax rate field. By default, the value in the field is dependent on the particular supplier’s country for that product, and its associated tax rates. There are however circumstances where the tax rate will differ, and now, you can adjust the tax rate and StoreFeeder will recalculate any values for you. Individual tax codes can be set for each of your products, but in instances where no tax or country code is set, StoreFeeder will default the product tax rate on POs to 20%. This functionality is now also available via API. See here for all our API documentation. To improve your stock management, we have added a helpful warning icon to show when you have booked in more stock than is required. We have added two new dropdown menus to the Purchase Order/ Drop Shipment Information section of the View Supplier page for each of your suppliers. These allow you to set the default status a purchase order or drop shipment will be in when it is sent to a particular supplier. Purchase Order Change to Status: Change status of all purchase orders for that supplier. Drop Shipment Change to Status: Change status of all drop shipments for that supplier. 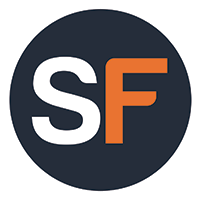 If you leave these fields blank, StoreFeeder will use the status set against your email templates, as usual. To activate this feature, please contact our support team. For when a product requires special care or attention, we have added hazardous and Fragile fields that can now be added added to the picking page and packing lists. On the Products Overview pages under ‘Additional Information’, there are two check boxes you can use to denote the product as ‘Hazardous’ or ‘Fragile’. When this option is enabled on your account, the flags will appear in two places in StoreFeeder. 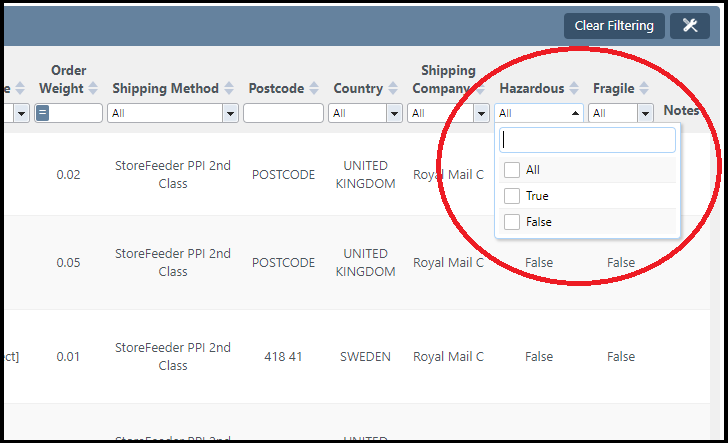 In the ‘Outstanding Orders’ section of the Picking page, you can add ‘Hazardous’ and ‘Fragile’ as filterable columns. This information will also appear as new columns on your Packing lists. Should you require assistance with any of these features, please contact our support teams, or take a look at our extensive knowledgebases. That’s all for this month’s updates. Keep your eye out for the next set of new features, and some upcoming special announcements. From all of us here, happy selling. StoreFeeder’s software is ever evolving to better accommodate the needs of our clients and their businesses. We will be rolling out some exciting new features over the coming months, so please watch this space. We are currently undergoing early access trials for our new Consolidated Picking Feature with a select group of clients before it is made available to all. This time-saving feature allows your orders to be split across totes ready for quicker and more efficient picking and packing. With this feature, you can choose to consolidate your picking by pickwave or individual orders. With this feature, you will be able to get a list of products you need, rather than a list of orders. When active, this feature will also produce newly designed picking and packing notes. Watch this space for an update on this feature and its availability. 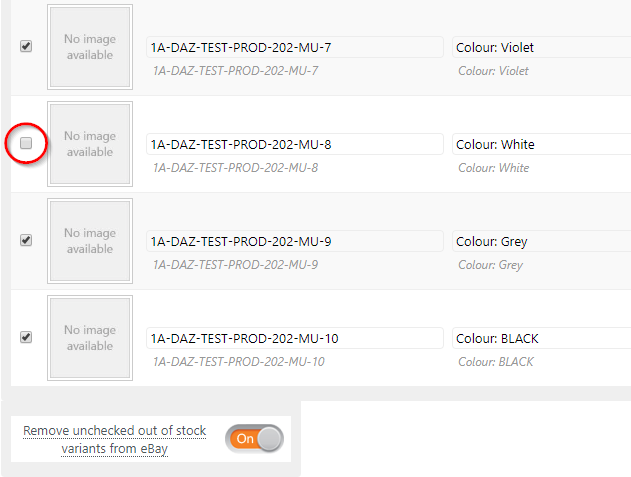 A new button has been added to allow you to mark your purchase orders in ‘Awaiting Confirmation’ status as ‘Confirmed by Supplier’. Please note that this button will not be available if the purchase order in is any status other than ‘Awaiting Confirmation’. We have improved the way variant product listings are displayed in Shopify. Listings will now be uploaded in order according to their ‘variant attributes’ that you set. This way, your customers will be able to view your listings in exactly the order you would like them to be seen. As a security measure and to prevent errors, Postcode validation is now used when adding a new supplier. Added the following columns: ‘Despatch Time’, ‘Total items’, ‘Time taken’, ‘Average time per order’, and ‘Average time per item’. Added two new optional columns, ‘Returned to inventory’ and ‘Returned by’. Added ‘Shipping company’ optional column. From all of us here at the StoreFeeder team, happy selling! We understand how integral StoreFeeder can be to the day-to-day operation of our clients’ businesses, so our most recent update has focussed on improvements and fixes based on your feedback. We are continuing to develop the service we offer, shaping and tweaking StoreFeeder to be as user-friendly and intuitive as possible. When returning an order on your ‘View Orders’ page, the return line used to replace the order line. Now, a new ‘child’ line will be created underneath for each return, so you can view the original order, and any returns, in an easier and more intuitive manner. This also means that multiple returns will be supported per order, with the details of numbers of stock returned clearly visible on each child line. In your General User Information page in your StoreFeeder settings, we have added a toggle to mark your users as Designated Pickers. This way, your designated pickers will appear in alphabetical order on the top of the list when assigning a picker to your pickwaves. All users will be automatically marked designated pickers, so you will need to manually turn this option off for your other users. You will still be able to select non-designated pickers from the bottom of the list. Note that this only apply to admins. For non admin users, the picker is automatically defaults to that person. 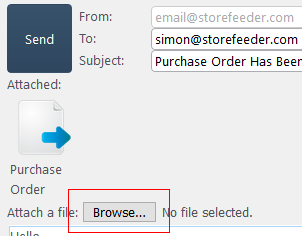 We have added a field ‘Email CC’ on the customer information page, so copies of any email communication to the customer will be sent to any additional email addresses you specify. 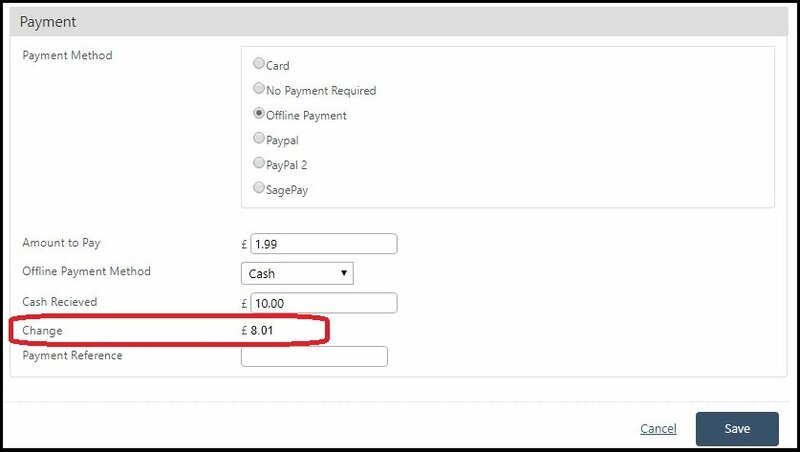 In your company identity settings, we have added the option to add Country Specific Vat Numbers which will automatically be applied to any orders you send to those countries. Please note that when you sell your products to EU countries, there are specific monetary thresholds over which you must declare tax in that country. You can now create orders, up to a maximum of 5 at a time, directly via the rest API. In accordance with eBay’s listing specifications, your postcode is now used in addition to your city for your eBay listings. This is to improve eBay’s proximity searches, as customers are more likely to be shown listings from retailers closer to their location. The potcode used is your integration postcode, and not that of the product warehouse. Please note that your postcode data is never made customer visible within eBay, and appears only as part of your return address labels. Fixed a bug that caused some products in ‘awaiting return’ status to be incorrectly marked as ‘returned’. Fixed a bug that allowed some users to create Purchase Orders when they did not have the correct user permissions. Fixed a rare bug where the order status ‘awaiting return’ was incorrectly adding stock back into some inventories. Fixed a bug where the ‘Stock take by pick bin’ report was displaying total stock as opposed to stock by location, and fixed some currency symbol formatting errors. Your feedback is valuable to us, and allows us to tailor our service to better serve your business. Get in touch at https://storefeeder.uservoice.com/ to let us know what you think. It’s been a very busy month here at StoreFeeder, and our developers have been implementing more and more improvements to your service. We at StoreFeeder are very pleased to announce our newest integration: Price Minister. This Paris based company has the second most commonly visited ecommerce site in France, with 22 million members, and 9 million visitors per month. Price Minister represents a huge potential revenue source for our customers who trade regularly with European markets. Based on client feedback, we have improved one existing report and added three new reports to provide you with better data for your business. This report now also displays your deliveries, and the columns have been adjusted to more smartly organise the data. To assist with your courier comparisons, this new report provides data on the number of orders, the value of those orders, and the services and shipping costs for each of your courier services. By popular request, this new report allows you to choose a picker, and will show you how many orders are picked, their average despatch time, and average number of orders picked per day. This new report uses your order data to inform you of the causes of your refunded products. You can filter by channel, supplier, or reason to view your refunds history. Note that you will need to add permissions in your user settings in order to view this report. 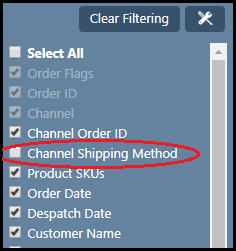 We have included two new sub-options on the ‘Email Settings’ page, which allow you to send notification emails to your customers when your orders reach ‘Shipped by Supplier’ and/or ‘Shipped by Amazon’ status. Additional information is now visible when raising a purchase order, including ‘Product Special Attribute’. ‘Order Tax’ is now a filterable field on the Orders and Picking grids, so you can filter international orders from domestic orders by tax class. On the ‘Listings Overview’ page, you can choose to export all of your listings at once, rather than being limited to a maximum of 500, as with products. To prove you have despatched your orders through Royal Mail, ‘Manifest Number’ and ‘Manifested On’ data will now be visible in the ‘Order Process Details’ section when you view or edit an order. This will provide you with a link to the correct manifest so you can reproduce the manifest paperwork. This combined with a screenshot of your ‘Order Process Details’ on the should be enough information to prove postage. ‘Warehouse Zone’ has been added as an optional filterable field for products, so you can filter your products and group them by their physical location. That’s it for May’s updates. Please keep checking the blog for more features, and remember to use our Uservoice Service to request any more changes we can make for you.